Ruthiebear (Titusville, NJ, United States) on 6 January 2019 in Architecture. Un superbe traitement juste dans le bon dosage. Très joli dans cette belle lumière. I really love this one, the church looks like it is glistening. So very beautiful. The church seems to glow. Excellent processing ! Suitable for the subject. I love the blue as it looks royal and great atmosphere!!!! I like this storybook processing and the mood of the image. A beautiful church in a special white and blue frame. I love this. A lovely image with that electric atmosphere. Beautifully done, a shimmering picture. A fabulous processing ! Wonderful image . 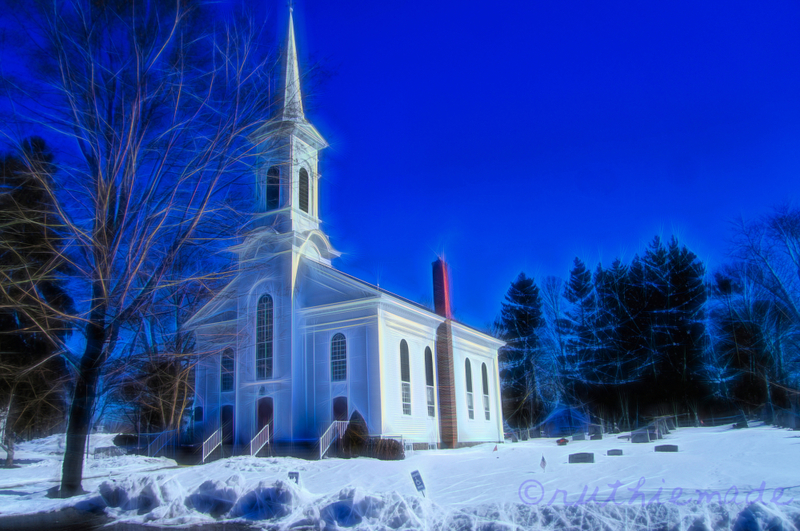 What a beautiful stately church this makes in this winterscape!! Great capture! A charming capture of this beautiful church! Stunning processing! I do like this one. I love the colors and the treatment. A wonderful image! This is so beautiful! You could use this as your Christmas card next year! A beautiful church and processing like a fairy tale ! Great effect, light and colours, well done. Tout le contraire de l'image précédente. J'aime cette luminosité particulièrement pure, sur ce ciel bleu très pur également.